The country houses of England; historic, feudal, proudly standing at the end of arterial, gravel driveways. What grandiose opulence they have witnessed and what secrets they harbour in their dusty halls and corridors, elegant parlours and murky servants’ quarters. The grand houses, proudly built midst rolling acres of pasture, formed affluent and even ostentatious centrepieces to the great estates of old. Quintessentially English, these magnificent, ancient homes welcome in their visitors still and yet steadfastly maintain their haughty superiority. Their furnishings displayed, their documents preserved within oak and glass, their stories told; or at least, their stories as they would wish them told; their secrets hidden forever. Regal parties for the elevated and admirable, held in conspicuous splendour and strictly by golden-edged, copperplate invitation only. Reported in the quality journals to the delight of the privileged attendees, the proceedings were duly documented but, no doubt, strictly censored by host and hostess. Nestling in green nowhere, the Orangeries; eremite and stoic, stately and yet understated awaited the revellers with reserved enthusiasm. Like dependable old retainers, these glorious buildings were as greatly loved as the grand halls of the main house. With their origins in Italy during the 16th century, the Mediterranean-spirited and temperamentally-talented artisans elevated glass, brick and stone to new, handsome levels – much to the delight of the wealthy and the aristocratic. These symbols of prestige that populated the Renaissance gardens were jealously admired by, amongst others, the young gentleman travellers of England who, having spent many a happy hour in these glorious structures with sun and the fruits of Bacchus, returned home, via verte-absinthe route, with the determination to re-create the splendour, the retreat and the pleasure. Initially populated with citrus fruits, the Orangery soon became the preferred location for rare plants and delicate flowers (of both the botanic and mortal varieties) to spend their days. In a state of deep and seemingly permanent relaxation, the gentry would recline in warmth and splendour whilst being ministered to by a string of faithful retainers who would fetch and carry, across manicured lawns and crunchy gravel, all their masters’ and mistresses’ hearts could desire or unreasonably request. 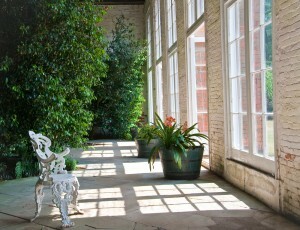 Reserved by day, the Orangery did not always sleep at night or even until the early hours. Eschewing open fires for stoves, the warmth of the Orangery was matched, year round, only by the warmth of the welcome from the effete owners. Whilst the main house embraced dignified and reserved behaviour, the Orangery would often throng to the raucous and, dare one say, decadent goings-on of the more high-spirited and vivacious. 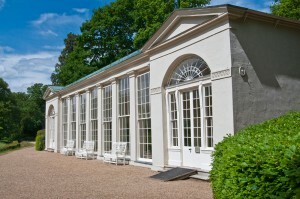 Yet, on other occasions, the Orangery would stand quiet, stately and dignified whilst prudently ignoring the secret liaisons and furtive meetings within its secluded walls. 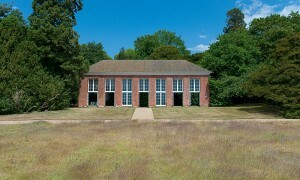 The Orangery; imparting a quality to life that has remained unsurpassed; would that those days may return. Anglian Home Improvements raising the standard since 1966. Visit the Anglian website for information on our Orangeries.